« Miles and miles of bias……. Love that braided handle. It is just so perfect and the looks fantastic. Will be watching progress. Thanks! It’s such a nice touch of detail! Looking forward to filling the basket with blossoms! Love your Civil War Bride…it’s coming right along! Keep up the good work! Thanks, Missy! I am so glad I am not alone. I just seem to think that if I am going to use batiks, the quilt should be all batik! I just discovered your blog and look forward to following your adventures. We have pretty similar tastes, I am working on the Civil War Bride, have a Baltimore ready for quilting and have the pattern and fabrics selected for my Friend of Baltimore and many other UFOs on the go. Love your new project too. Hi Heather..I am constantly checking out your blog! I find it very inspiring. I love having lots of projects on the go, that way I can never say I am bored! What a great technique on that braided handle. Your batiks will look great in the new project, it is a very pretty pattern. Thanks! Looking forward to starting my new project! I bought the pattern too! Love the braid on the basket!!!! Oh thanks!! It’s a great pattern. Can’t wait to start! I just purchased the perfect stems last week! Thanks for the visuals…can’t wait to try mine. I love your first three CWB blocks. I should sew mine together as well, as it might give me the push to move forward on the project. 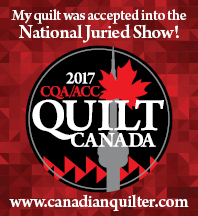 So many quilts…so little time! Love your blog….. Thanks! That is exactly why I sewed my first three blocks together…to keep me moving along! Good luck with your Perfect Stems!